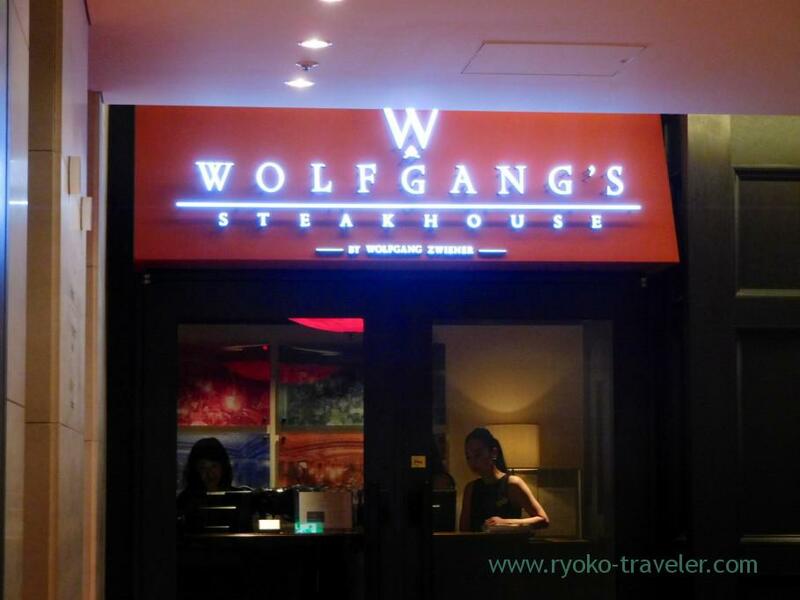 I visited Wolfgang’s Steakhouse in Marunouchi. Now there’s four branches in Japan. Roppongi, Marunouchi, Osaka and Fukuoka. 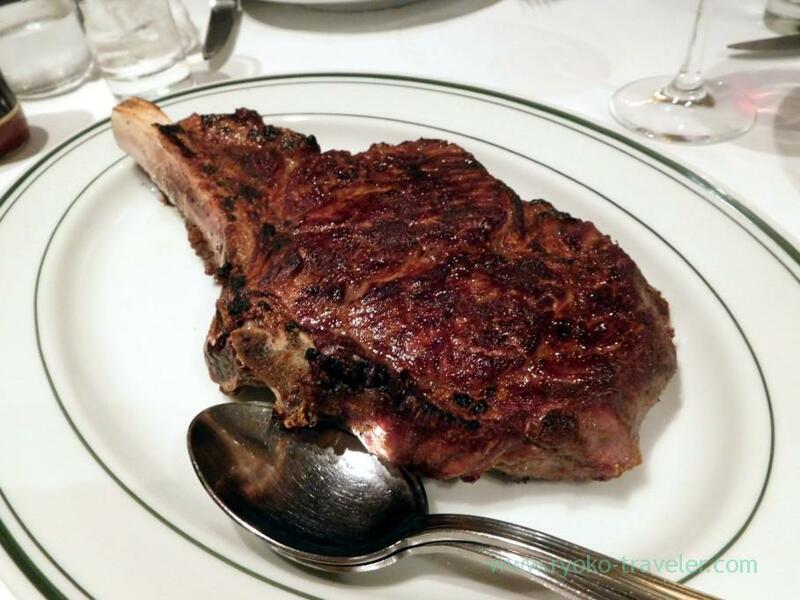 Wolfgang’s was founded in Manhattan in 2004. Dress code is “smart casual”. They prohibit from men’s flip-flops, tank top and knee trousers. Also T-shirt and jeans is not good. 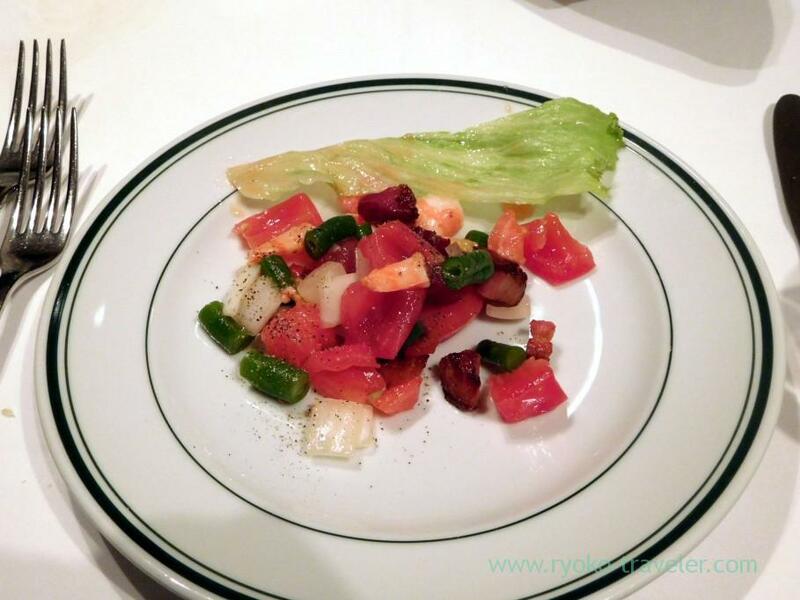 It is located on the ground floor of Meiji Seimeikan bldg in Marunouchi area. This building is one of the important cultural properties. So, it’s worth visiting only for viewing this building. Bar area and restaurant floor is divided. White cloth is attracting in the restaurant floor. 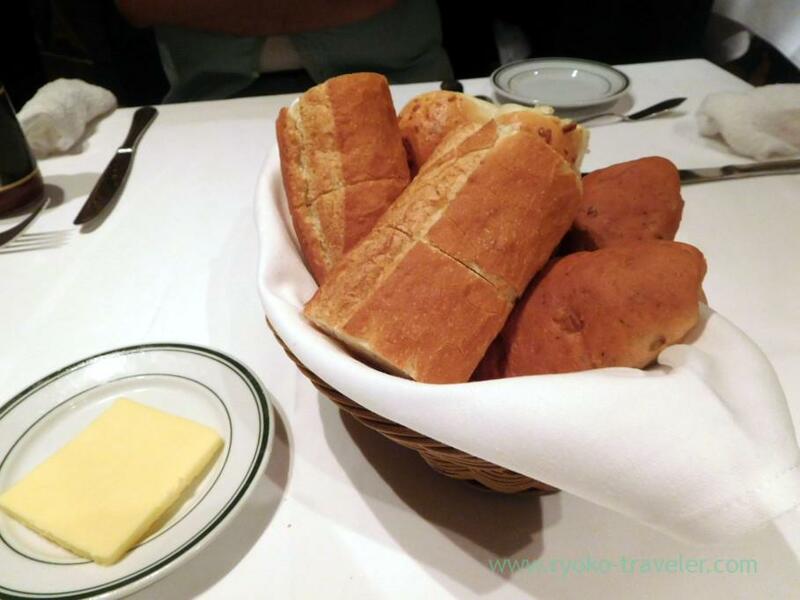 This bread (included in service fee) is really tasty. Drink menu. Beer, wine, cocktails and non-alcoholic drinks. Foods menu. Appetizer, steak, vegetables and so on. It’s hard to see. So, visit Official website. They have PDF menu. They have several beer (Domestic beer, Imported…) on the menu. 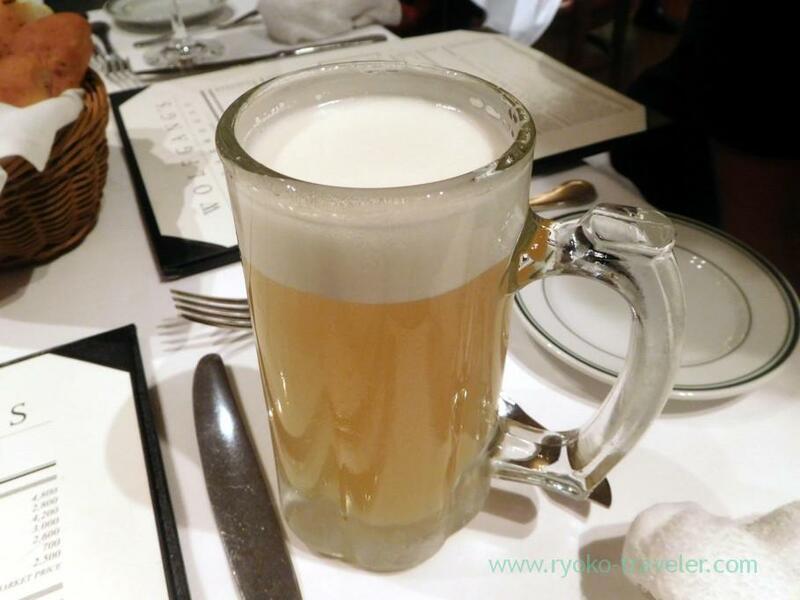 I chose Hoegaarden White (ヒューガルデンホワイト, 1100 yen). I was surprised at the smooth foam. The temperature of beer and glass was perfect ! We were four and shared those foods. 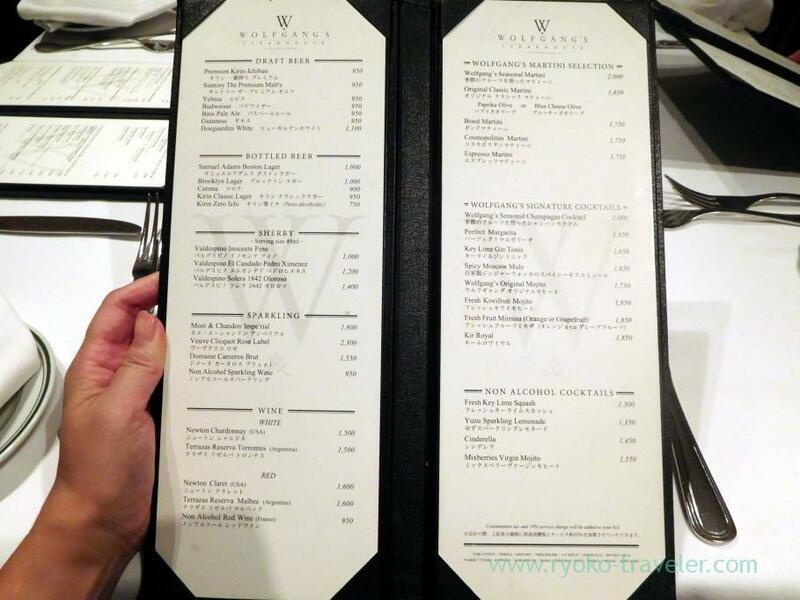 We choose Wolfgang’s salad (1800 yen) as appetizer. Thanks to that, I felt flavor and tastes of those ingredients clearly. After that, steak and vegetables were served. Specialty of Wolfgang’s. 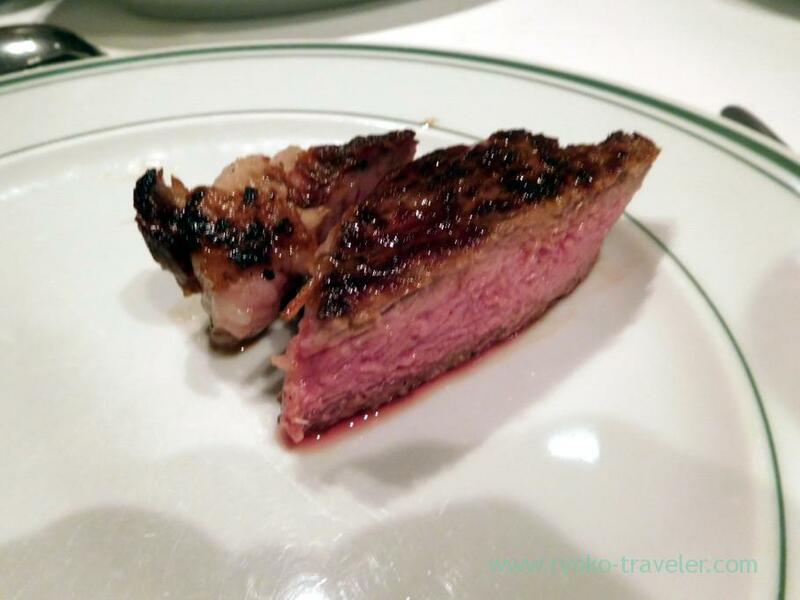 Prime dry aged beef steak for two person (プライムステーキ２人前, 16000 yen). 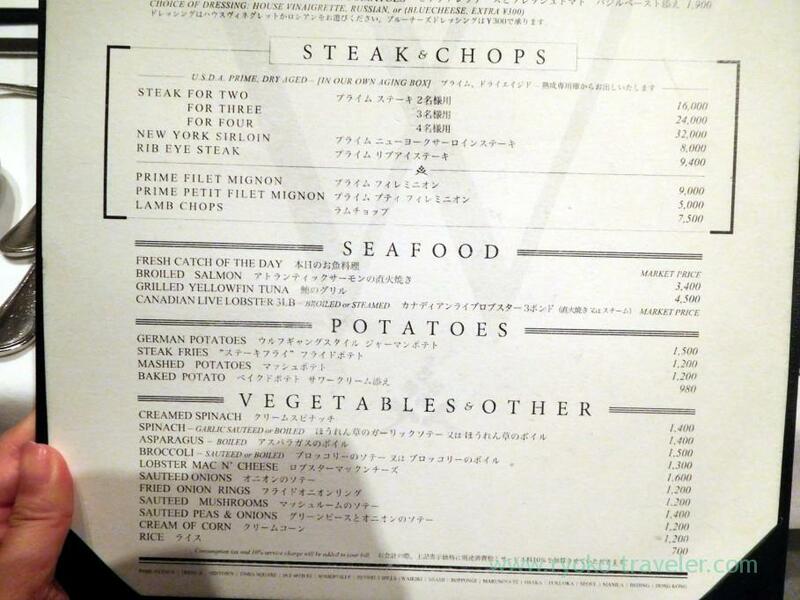 This steak have both fillet and sirloin. Of course, the staff dished them up, too. We ordered the steak with medium rare. Lobster mac n’ cheese is like macaroni salads. The steak was, delicious as their high reputation. By the way, they say it is suitable for two person on the menu. We have to be careful. American standard is too large for us ! 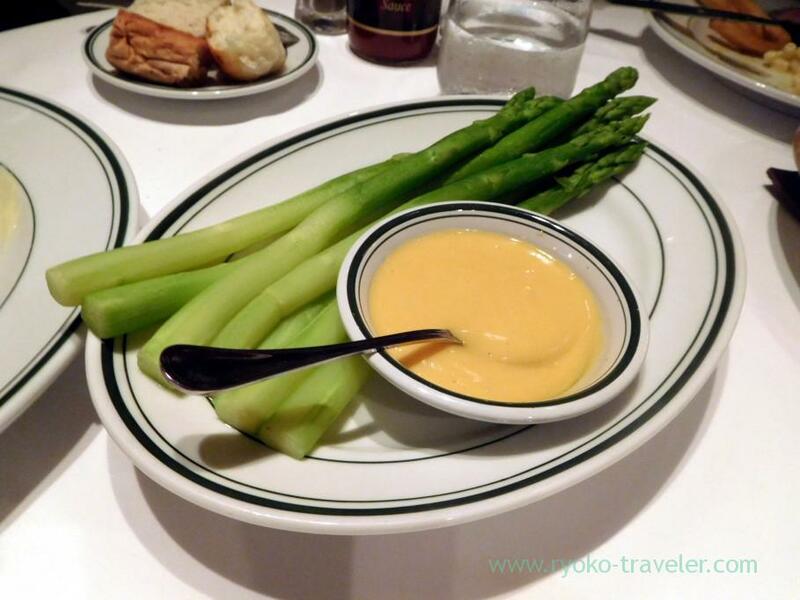 Thick and long asparagus ! 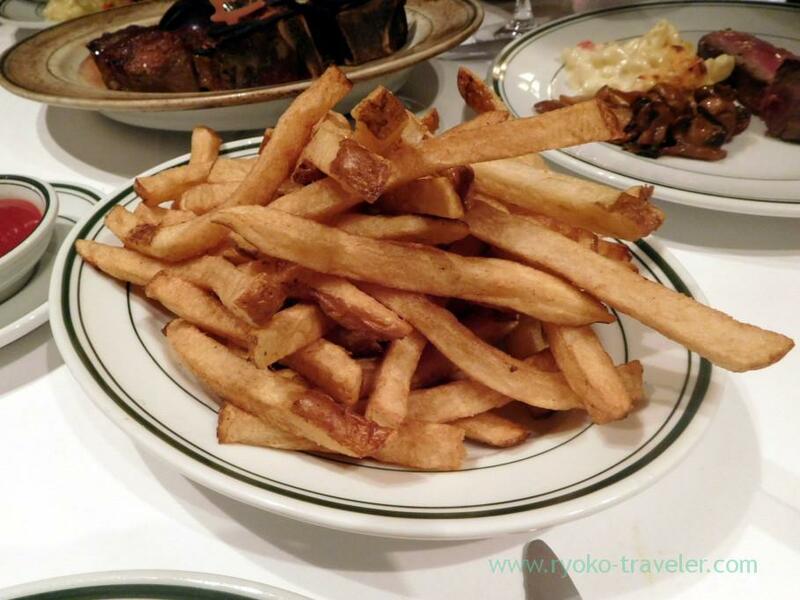 Steak fry (ステーキフライ, 1500 yen)。French fry. My friend recommended potatoes. I agreed with her. Not only steak but also appetizer and salads was good. Wolfgang’s is great. We wanted to have more steak, so we added it. We took as much as we can eat. I took just it. 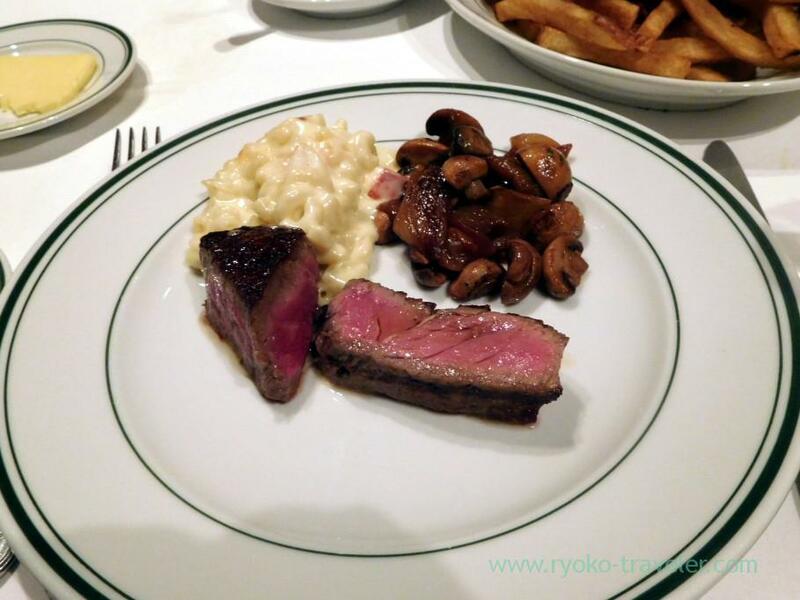 Truthfully speaking, we liked it better than Prime dry aged beef that we ate at first. We tried steak only this time, but I heard their seafood is awesome. You’d be better reserve in advance. You can reserve at Open Table.